A humorous mug and coaster set. 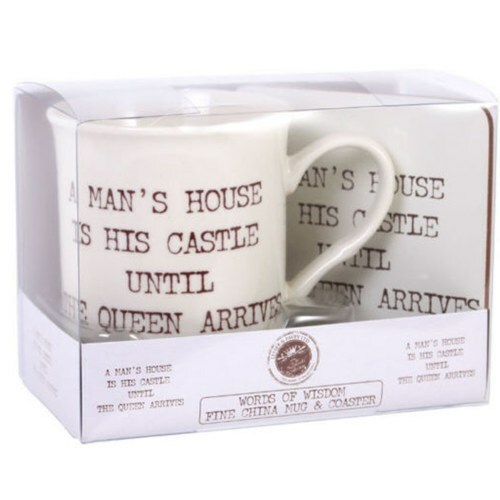 This high quality, humorous "A man's house is his castle until his queen arrives" mug and coaster set is something every man needs to have! A humorous, fun way of showing your woman that you know she is the boss. This set comes in a box which makes the perfect gift.